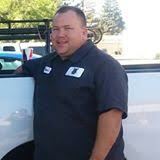 AAP founder Nathan Brandon went into business because he knew that Northern California needed a respectable plumbing company. Tired of all the negativity in the industry, he set out to build a company that was honest, provided great service and quality that would be affordable to his residential and commercial customers as well. Our commitment to our customers is to provide high quality work that is budget friendly. We are always transparent and want our customers to feel comfortable with the estimates we have provided. Our staff will go above and beyond to ensure you understand the work being done and the costs associated. 100% Satisfaction is our guarantee to you!